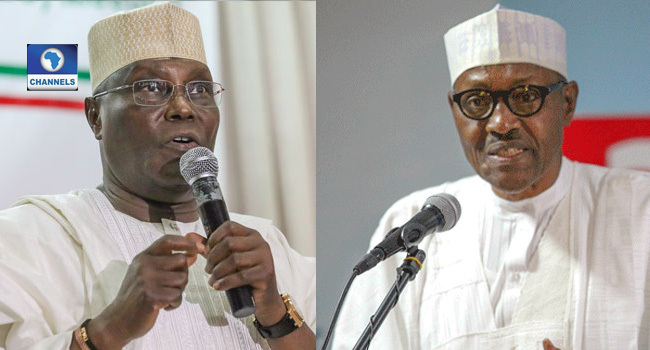 The All Progressives Congress (APC) Presidential Campaign Council Director, Strategic Communications, Festus Keyamo, has called on the Peoples Democratic Party and its Presidential Candidate, Atiku Abubakar, to call President Muhammadu Buhari and congratulate him on his maintaining lead. In a statement by the campaign spokesman, Keyamo urged the opposition party to call President Buhari, if they feel they have lost the Presidential elections. “This is not the time to sacrifice the country for personal ambition. If they feel they have lost (as their statement clearly indicates), Atiku Abubakar must pick up his phone to make that famous call to President Muhammadu Buhari. The world is watching him and so are Nigerians”. It is now obvious that the top hierarchy of the PDP is hysterical and nervous. We urge them to calm down. Obviously, this is the first time they are sensing a massive loss of an election as an opposition party. It is a new experience for them. They are confused and disoriented. For many years, they were used to manipulating the instruments of State to just write results and announce themselves as winners. As such they have a sense of entitlement to these instruments of State that they could not fully manipulate this time because President Muhammadu Buhari insisted on a level plain field for all. We advise the PDP that as an opposition party for many years, we have been down this road before. This is not the time to sacrifice the country for personal ambition. If they feel they have lost (as their statement clearly indicates), Alhaji Atiku Abubakar must pick up his phone to make that famous call to President Muhammadu Buhari. The world is watching him and so are Nigerians.